Virginia Dare brings to life the myths, people, and history of American wine and cider making, celebrating a history that goes back more than 400 years. We make American wine the way it’s always been made: by taking the best the land has to give us and nurturing the quality and character of our fruit from vineyard to bottle. To further pay homage to early American history, we introduced our Virginia Dare Hard Cider in 2017. Handcrafted from apples in Sonoma County, we celebrate the American cider making tradition that traces back to the early colonists. Crafted in the heart of American wine country, Virginia Dare wines and cider are rich with characteristics befitting their legend. Pure. Natural. Distinctive. A true American original. Each of these four wines reveals a different aspect of the Virginia Dare legend. 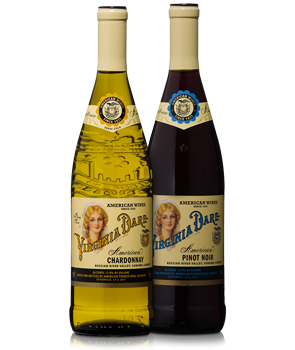 Ultimately, their trail of clues and characters led to the name of our winery: Virginia Dare. 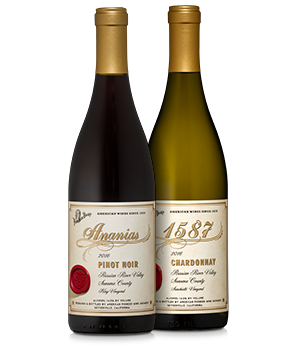 Uniquely crafted, limited production wines that showcase distinctive vineyards from renowned appellations. 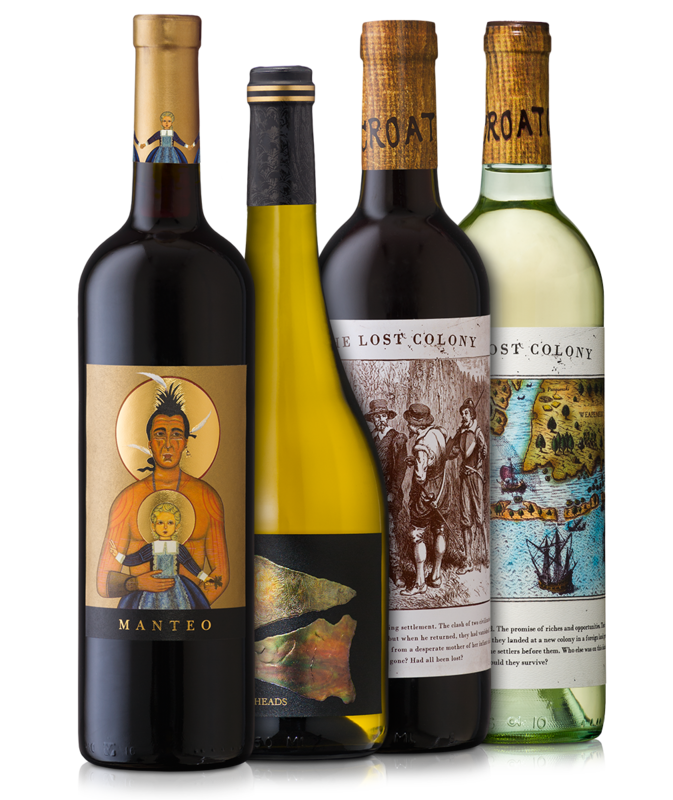 Crafted exclusively with grapes from Sonoma County, these Showcase Wines pay homage to the legendary Virginia Dare herself, with bottles reminiscent of the original Virginia Dare wines first crafted in 1835. 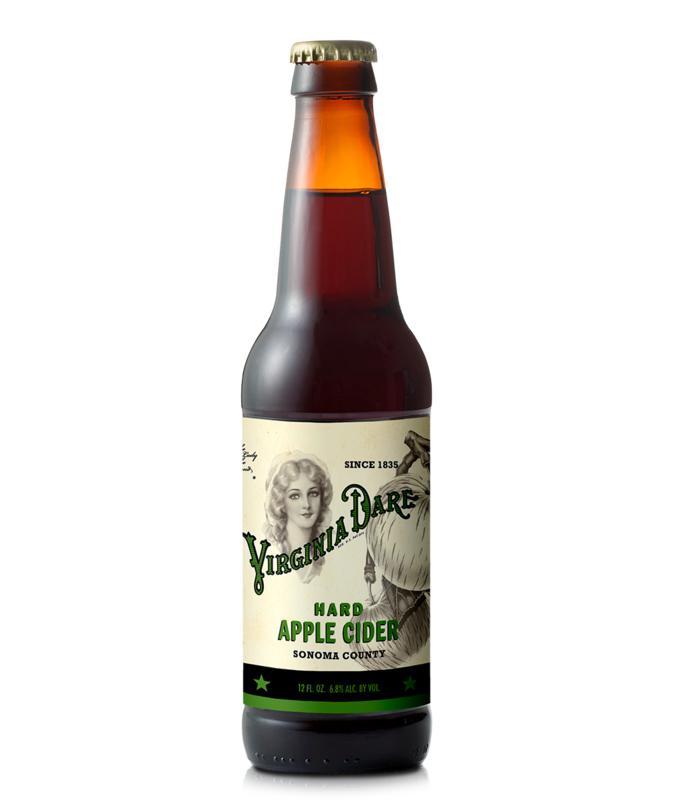 Made exclusively with Russian River Valley’s famed Gravenstein apples, Virginia Dare Hard Apple Cider celebrates early American cider making and Sonoma County.